and professional to deal with”. 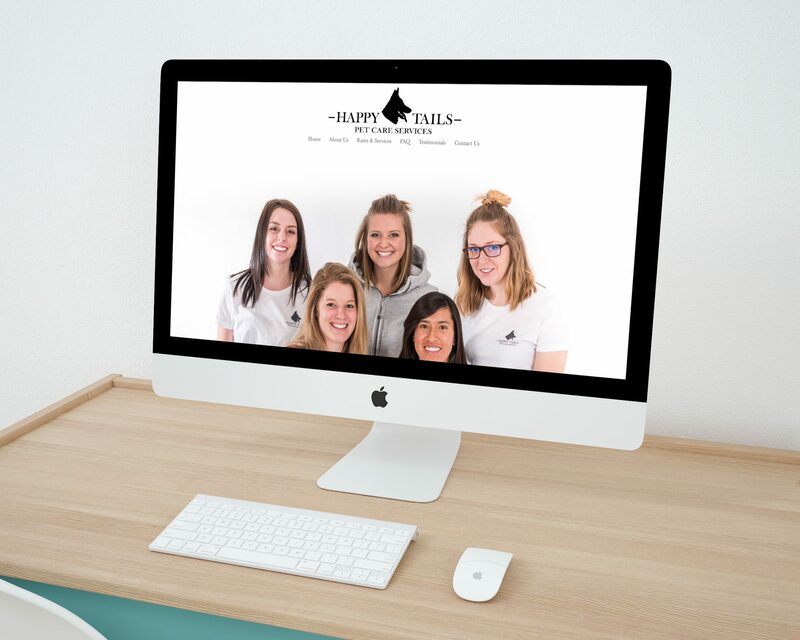 Happy Tails is the top pet care company in the Ottawa area, and owner Veronica needed more than a Facebook page to reflect her success: she needed a modern, professional website. She trusted to the branding experts at | venture creative collective | to craft a website, color palette, and copy that would reflect her company’s rigourous standards. The website needed to be a silent sales partner, converting casual researchers to actual leads in this highly competitive niche with minimal effort on Veronica’s part. Search engine optimization ensures that the website is visible to the ideal Happy Tails client, and the website itself can do the work of developing high-prospect leads. That started with developing a color palette: the monotone greys convey a sense of stability, and the soft royal blue accent speaks to the professionalism and training of her staff. The website’s clean photo graphics and precise content convey all the information potential clients need to know. The copy is approachable, informative, and directive (and saves the Happy Tails team the work of answering common client questions!). Once the client is converted, they needed an outlet to take action. The vcc team recommended creating a detailed contact form to get useful information from potential leads, instead of relying on tedious back-and-forth email chains. 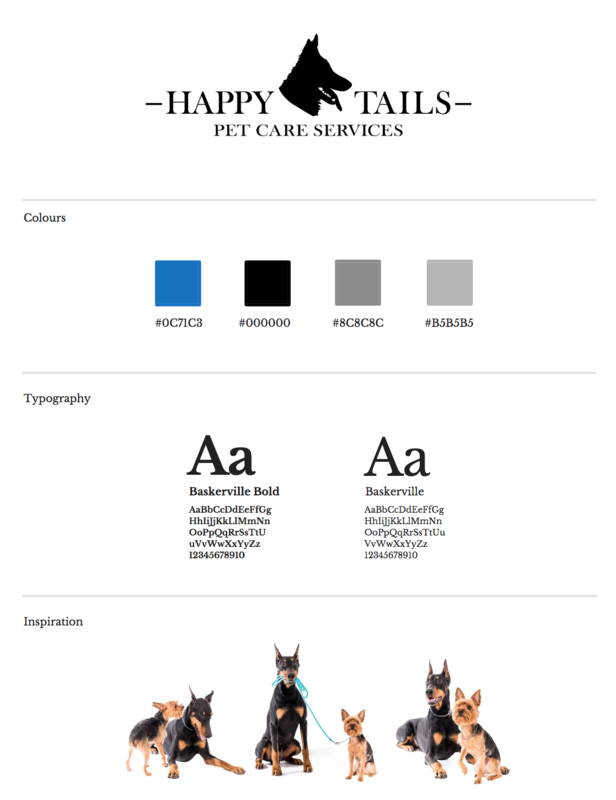 With an optimized website, effective branding, conversion-centred copy, potential clients will quickly know what we knew all along : their pet will be in good hands with Happy Tails. We are so pleased to continue to work with Veronica and her team to create copy, and add strategically to her web presence. I have been dealing with Taylor and Michelle for years now on two separate business, and they have been great. Super response time, fabulous execution, and professional to deal with. I highly recommend these two ladies for anyones marketing/website needs.